The situation-comedies and the dramatic lifetimeTV genre is old and tired! Although a close second to Project Runway is Drop Dead Diva. I think both shows appear on LifetimeTV. Anyway -- thanks to DVR I don't have a problem missing my shows. 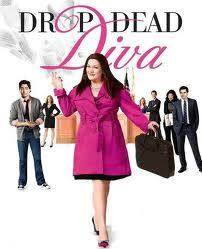 ooooh...i LOVE drop dead diva!!!! I LOVE Project Runway! I am loving this season especially, those guys are so funny and catty. It is hilarious.